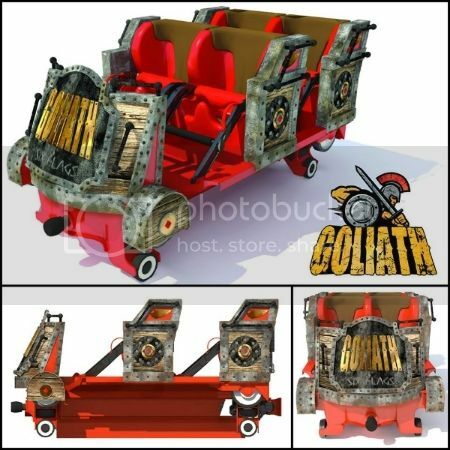 SFGAmWorld • View topic - Great America Shows off Goliath's Trains! Today via Facebook, Six Flags Great America showed off what Goliath's trains will look like next season! I don't think it'll be a rough ride at all, but it's nice to see a seat closer to the middle.